Brighton show will put MacDonald ‘Max’ Gill back on the map. Above and top: Details from The Wonderground Map of London Town, 1914. 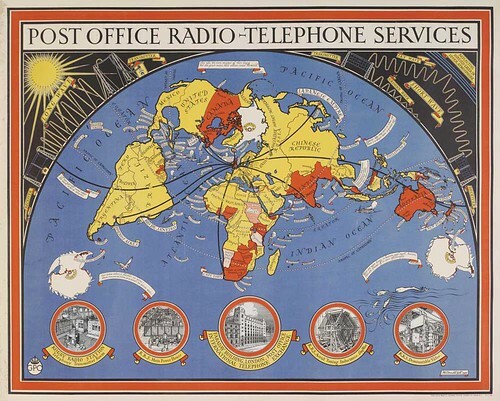 Yet as an illustrator, mapmaker and decorative artist, among other things, Max Gill was well known in his time for his work for transport and communications companies, including a number of stunning pictorial maps. 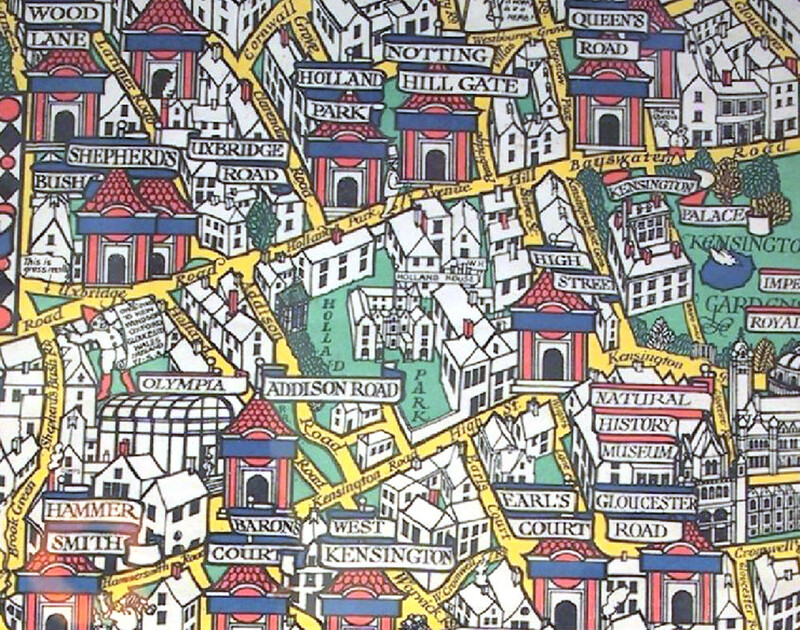 His ‘Wonderground’ map (above) – an illustrative interpretation of London and its transport network – sold thousands of copies, and was but one work of hundreds which contributed to his reputation as a master-craftsman of his time. 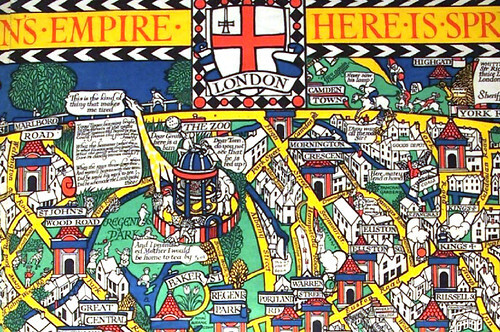 The influence of Gill’s maps can still be seen today in the work of many artists and designers working with cartography (see ‘Mapping it up’ on the Eye blog). Above: Poster for the Tea Market Expansion Board, 1940. Much like his brother’s eponymous typeface, Max Gill’s work was often tied into ideas of British taste and perception, with many pieces concerning the British Empire and its global trade interests – for example his popular ‘Tea revives the world’ poster. He helped to raise and reinforce issues of national identity in an increasingly international world. Above: Poster for the GPO, 1935. Gill joined the Imperial War Graves Commission in 1917 and was involved with designing headstones commemorating the servicemen who died during the First World War. His work on lettering and regimental badges for the Imperial War Graves can be seen around the world. While researching Gill’s life in the course of writing a biography, his great-niece Caroline Walker discovered maps, plans and artwork that had lain untouched since his death almost 65 years ago. These will form an exhibition of Gill’s work at the Brighton University Gallery this summer (22 July > 29 Aug 2011). The work, stored away from light for so long, is in excellent condition, and the conserved restored originals (not facsimiles) will be on display during the month-long exhibition. Too often referred to as a footnote to his brother, Max Gill's output and reputation deserve to stand on their own merits. The upcoming retrospective will go some way to cementing his name in the pantheon of early twentieth-century design. See also ‘Tarnished Idol’ on the Eye blog, and Mark Thomson’s article about Gill’s typeface Joanna in Eye 62 (and on our Type Tuesday column). You can also read Sirpa Kutilainen’s excellent blog about the conservation and restoration of MacDonald Gill’s posters and artwork at the Brighton University Design Archive. Eye is the world’s most beautiful and collectable graphic design journal, published quarterly for professional designers, students and anyone interested in critical, informed writing about graphic design and visual culture. It’s available from all good design bookshops and online at the Eye shop, where you can buy subscriptions, back issues and single copies of the latest issue. For a visual sample, see Eye before you buy on Issuu. You can also find us on EyeFacebook.